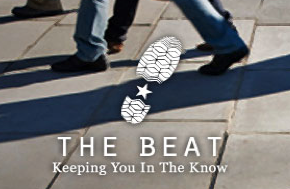 Check out the Department of Justice COPS Office monthly podcast series, The Beat. You can listen to, download, and read the transcripts of three NIOT podcasts, which are located under "Hate Crimes" when you scroll down the page. The first podcast features George Gascon, the district attorney for the city and county of San Francisco, who discusses partnership building with the prosecutor's office when dealing with hate crimes and addressing the needs of hate crime victims. "Hate Crimes: Waking In Oak Creek" is the second podcast, which is an interview with Police Chief John Edwards and Lieutenant Brian Murphy as they discuss the August 2012 Sikh Temple shootings in Oak Creek, WI. The third podcast features Patrice O'Neill, chief executive officer and executive producer for The Working Group, discussing the Not in Our Town Project, the hate crime reporting gap, and the available resources for law enforcement.